Between the up and coming brewery scene, champagne toasts and happy hour specials, it’s undeniable that alcohol plays a large role in society. While moderate levels of alcohol can have some health benefits, for many people, alcohol can be the number one factor of destruction in their lives. Although recovery from alcoholism seems scary, it’s amazing how your body responds to quitting alcohol and how it improves as soon as you stop drinking. Still, research shows that the human body is extraordinarily resilient in the wake of walking away from the bottle; studies show that in a matter of hours, sobering up can help people start the process of regaining healthy sleep schedules and reducing the risk of illnesses such as cancer, diabetes and liver disease. Here’s what experts say you can expect to happen to your body when you commit to sobriety. Within the first hour of alcohol detox, your liver kicks into to overdrive to help remove any alcohol in your bloodstream. Depending on how severe your alcohol problem is, it’s around this time that people should make sure they are in contact with a medical professional, as in some cases, withdrawal can even be life-threatening. For an alcoholic, how your body responds to quitting alcohol during the first 72 hours can be a frightening, painful, and stressful experience, as the body works to reset itself to a working equilibrium without booze. What’s worse, sometimes withdrawal symptoms can linger for days, and in extreme cases, even weeks. The thing to find solace in, experts say, is that medical professionals who specialize in helping people detox from alcohol addictions can help ease withdrawal symptoms through medication, and eventually, there is light at the end of the tunnel. Research shows that alcohol interferes with the natural state of sleep, creating more of an afternoon-nap-on-the-couch effect rather than real rest. For many heavy drinkers, passing out night after night is synonymous with sleep. Research shows that alcohol interferes with the natural state of sleep, creating more of an afternoon-nap-on-the-couch effect rather than real rest. Although much is still unknown about the full function of sleep, research has consistently shown that lack of sleep can have serious physiological consequences. While the early stages of alcoholism rehab can bring waves of insomnia, after about a week, sleep patterns begin to return to normal, which can help reduce the risk of depression, heart disease and impaired breathing. Studies also show that people tend to lose weight due to a lack of ingesting the empty calories they had typically consumed through alcohol, and replacing alcohol with fluids such as water or juice helps reduce dry-looking and flush-colored skin. Internally, after about a month, blood pressure begins to return to normal, and the liver starts to recover. While people are often familiar with the fact that the liver is closely associated with the health consequences of alcohol, fewer people understand why. According to medical professionals, at a high level, the liver’s critical function is to make sure that it filters the gut’s breakdown of what people ingest or inhale and makes sure that the good nutrients enter the bloodstream to feed the rest of the body and the toxins or artificial ones don’t. Heavy alcohol use is shown to extensively overburden this function to a destructive point, initially for the liver, and eventually for the brain, heart and other organs. Are You Thinking About Quitting Alcohol? Morningside Recovery helps people through the typically difficult time of quitting drugs and alcohol. 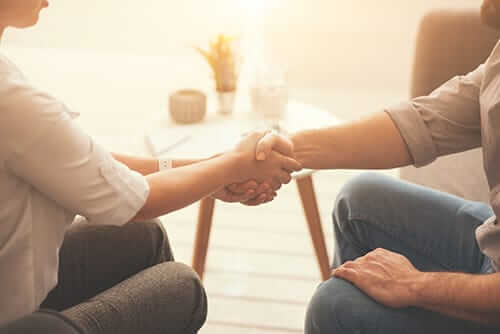 Plus, depending on your individual circumstances, we have a wide array of effective treatment plans that help people stay sober through the tempting situations that occur during a lifetime of sobriety. For more information about how we can help you, call us at 855-631-2135. Our helpline is open 24/7 and our specialists will work with you to help find a treatment plan that works best with how your body responds to quitting alcohol.